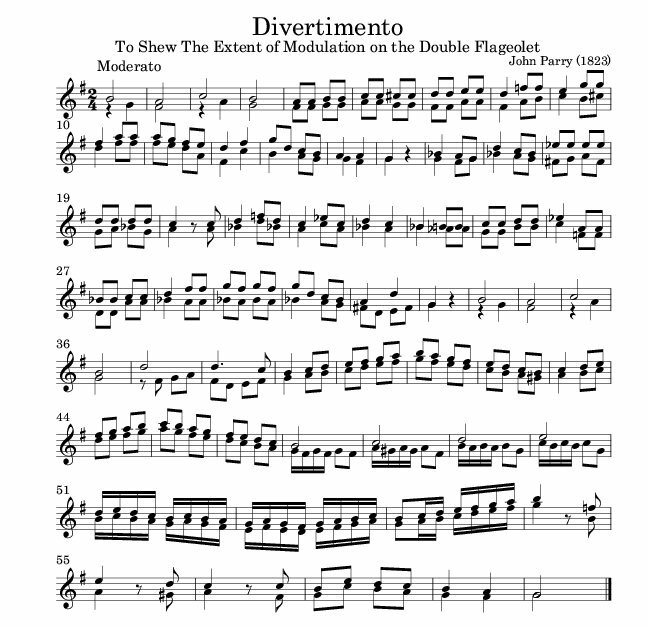 This short piece, composed by John Parry in 1823 was one of a number of pieces of music written by him to demonstrate the ability of the double flageolet to play complex harmony. A second, similar, piece appears in his 1830 article “On Flageolets”. You may also download a midi file of the music.